I’ve been working in mixed media assemblage for the last 15 years. My reaction to all the “waste” around us helped decide my medium. 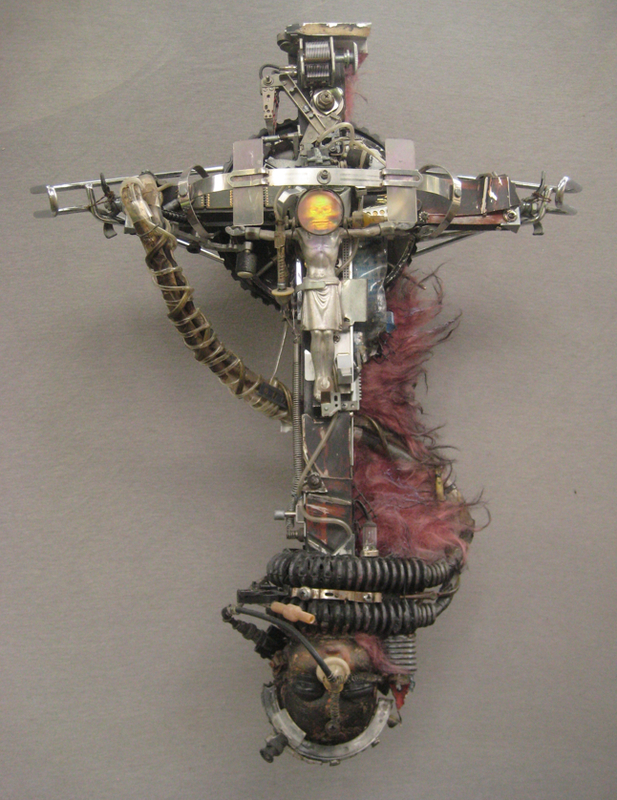 My current series STAUROLATRY [worship or study of the cross] questions the viewer’s doctrines and belief systems. The series does not condemn nor condone religion, but tries to offer a different perception of this symbol in a new and different age. 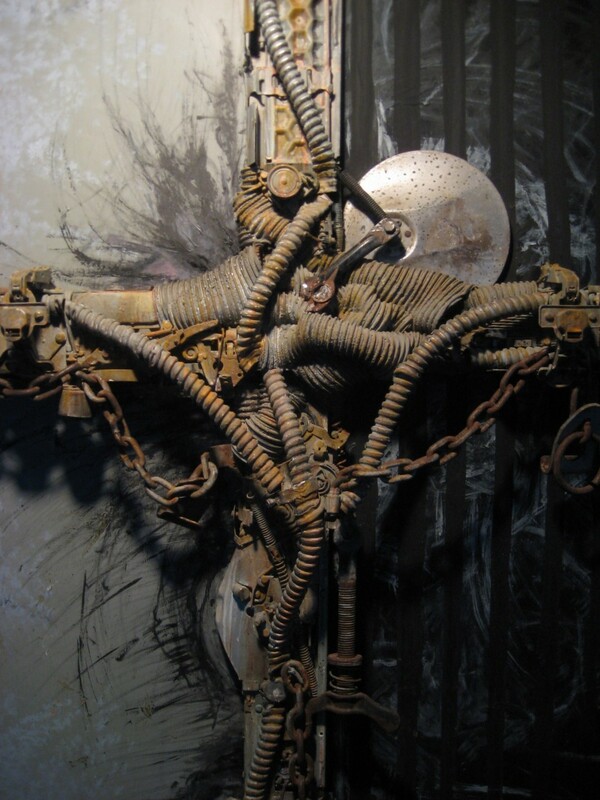 Joseph Campbell once said that the reason the crucifix is such a popular symbol, is because everyone can identify with suffering. 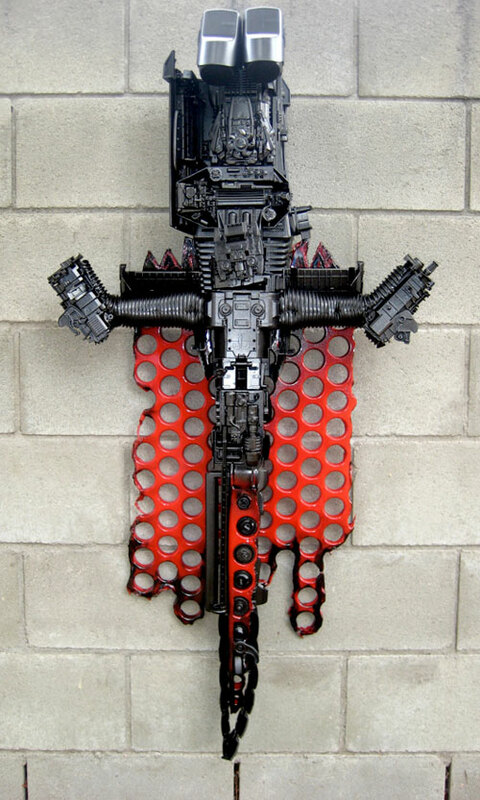 My mission is to take people’s discarded junk and turn it into a symbol of salvation.